Posted on Tue, Mar 6, 2012 : 2:19 p.m.
Two months after President Barack Obama announced a series of reforms to higher education funding during a speech at the University of Michigan, his sister —a scholar at the University of Hawaii— will discuss reform to public education. Maya Soetoro-Ng will discuss how public education reform can further diversity, peace and global awareness during a lecture at March 22 at 7 p.m. in the Michigan Union. Soetoro-Ng is an assistant professor of education at the University of Hawaii and consultant with the East-West Center. In 2011, she published "Ladder to the Moon," a children's book about understanding multiracial identity. During his speech in January Obama stressed the importance of affordable higher education to the nation's recovering economy as he outlined a series of overhauls to federal-based college aid before a crowd of roughly 4,000 at Al Glick Field House in Ann Arbor. He implored the 40 states that reduced their public university funding last year to stop the trend of disinvesting in higher education. “We’ve got to do something to help families and to help students be able to afford this higher education," Obama said then. "We’ve all got a responsibility here." Wed, Mar 7, 2012 : 1:45 p.m. 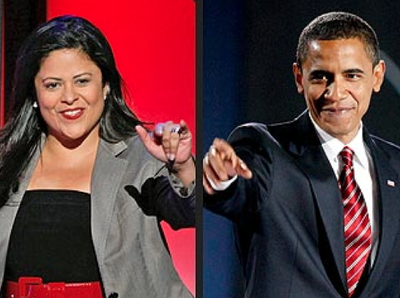 Better is sister, Maya Soetoro-Ng, than the president. At least she's qualified to speak on the subject! Wed, Mar 7, 2012 : 9:54 a.m. I wonder if she will be using government aircraft for travel on our dime. Wed, Mar 7, 2012 : 12:50 a.m.
Tue, Mar 6, 2012 : 10:22 p.m.
Tue, Mar 6, 2012 : 9:19 p.m.
President Obama's sister? When was this fact discovered? The press really did a good job informing the public about the Most powerful man in the world! Wed, Mar 7, 2012 : 4:47 a.m. I'll bet you don't know who Niel Bush is? Wed, Mar 7, 2012 : 12:35 a.m.
Xmo, I am pretty sure this &quot;fact&quot; was discovered when she spoke live on national TV to millions of Americans during the Democratic National Convention in Denver in the summer of 2008. <a href="http://www.youtube.com/watch?v=Jws_HPW1rtE" rel='nofollow'>http://www.youtube.com/watch?v=Jws_HPW1rtE</a> Keep up the good work xmo! Tue, Mar 6, 2012 : 10:26 p.m.
Well, she's been a frequent visitor to the White House, she's part of every visit of his to Hawaii, and is frequently seen on family vacations, etc. so I can't imagine why you are &quot;clueless&quot;. LoL. Tue, Mar 6, 2012 : 10:10 p.m. I agree xmo (not that i have a problem with her). I had no idea he had a sister and I DO watch other channels. I love how the &quot;watch something besides fox/faux news&quot; card gets tossed around willy-nilly. Tue, Mar 6, 2012 : 10:03 p.m.
What, you have a problem he has a sister? Watch some other channel other than fox and you will learn what's really happening in this world. Tue, Mar 6, 2012 : 7:53 p.m.
Tue, Mar 6, 2012 : 8:39 p.m.
Tue, Mar 6, 2012 : 8:34 p.m.